Perfect addition to your summer picnic, I served these as party of my birthday picnic and they were a big hit. 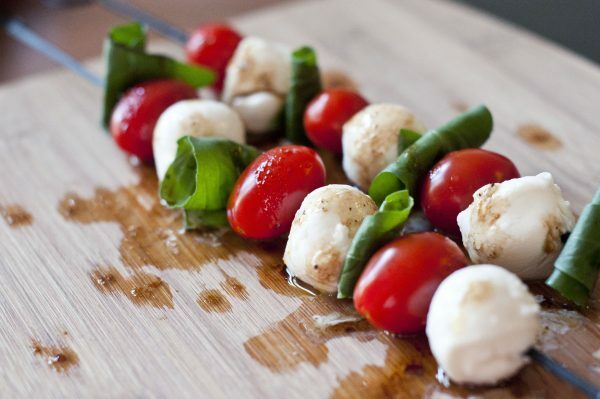 Using a skewer, put a cherry tomato, basil, followed by a mozzarella ball, basil, second cherry tomato, basil and finish with another mozzarella ball. Season skewers with salt, pepper, oil and vinegar.